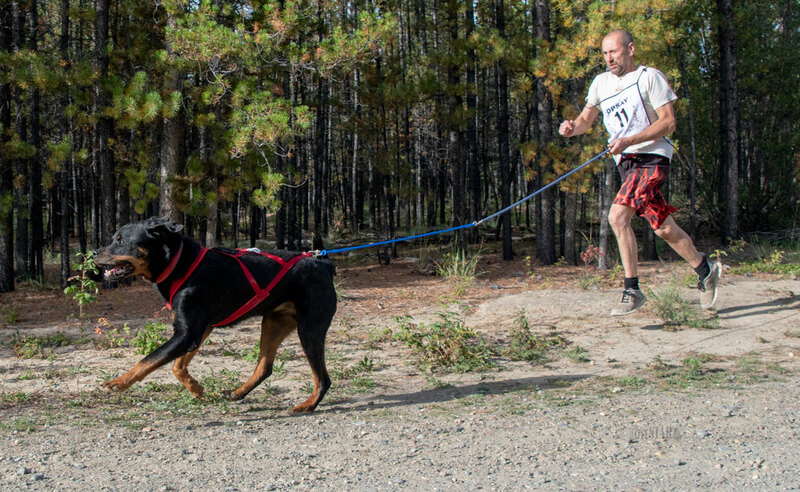 HOLD ON – Martin Haefele races in the two-mile bikejoring event during Sunday’s summer Hot Hound race series. 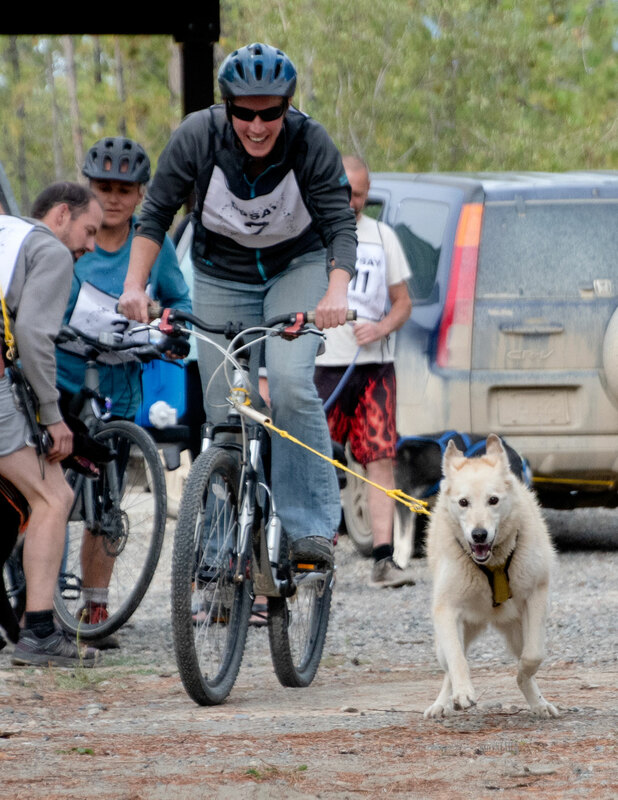 BACK ON THE TRAILS – Jonathan Lucas was back racing Sunday in the one-mile Canicross event held on the trail network at the research forest. 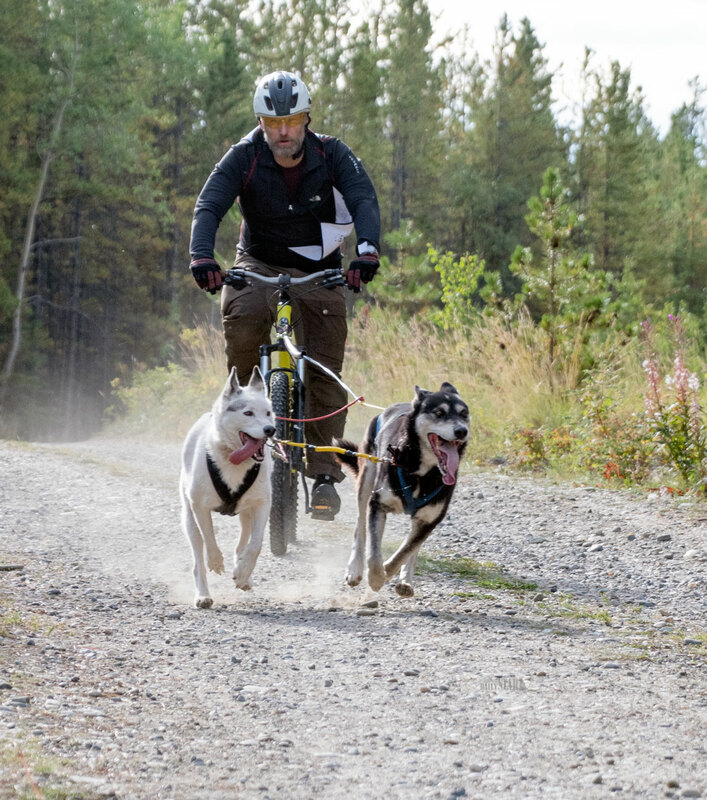 The man who was instrumental in reviving mid-distance sled dog races a number of years ago was back in Whitehorse for a visit and on the trails Sunday. 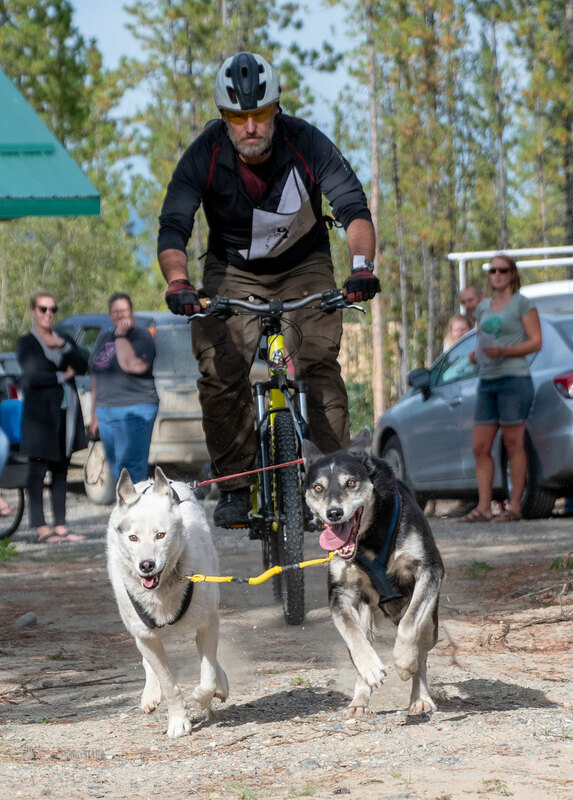 Jonathan Lucas and his hound finished third in the one-mile Canicross race hosted by the Dog Powered Sports Association of the Yukon as part of its Hot Hound race series. Lucas finished in a time of five minutes and 43 seconds, or one minute and 14 seconds behind David Jutard’s first-place time of 4:29. 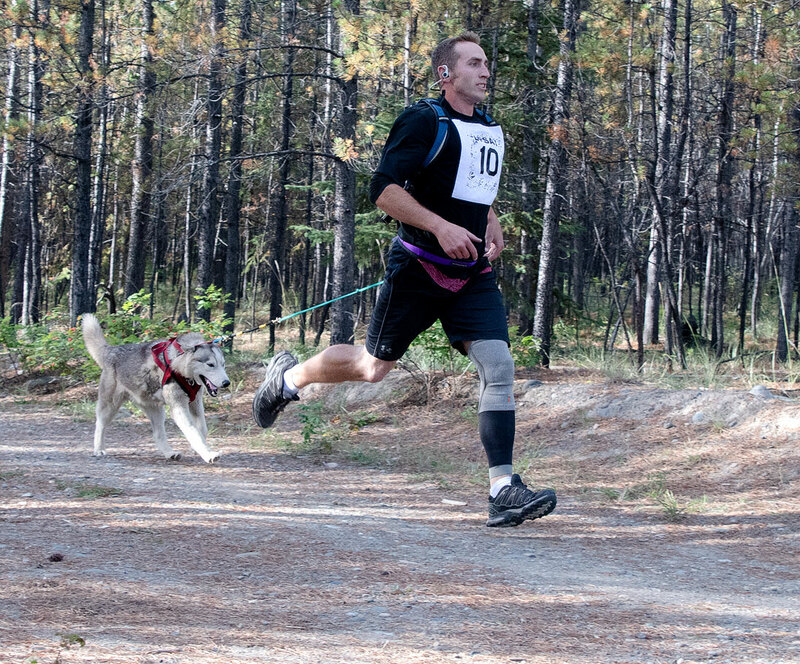 Kyle Lavoie was second in the Canicross with a time of 5:10. In the 1 Mile Bikejor, Claudia Wickert recorded a blistering first-place time of 3:20, or more than a minute ahead of second-place Martin Haefele, who clocked in at 4:22. Natalie Chaing was third in time of 4:31. Haefele recorded a time of 9:51 in the 2 Mile Bikejor. 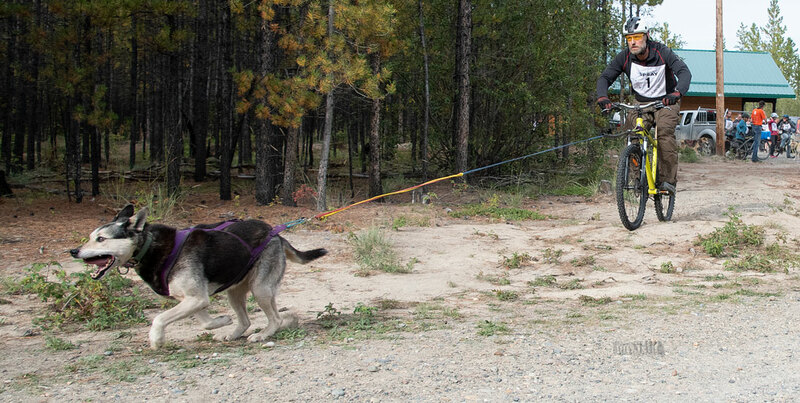 The only other competitor ended up on the wrong trail. 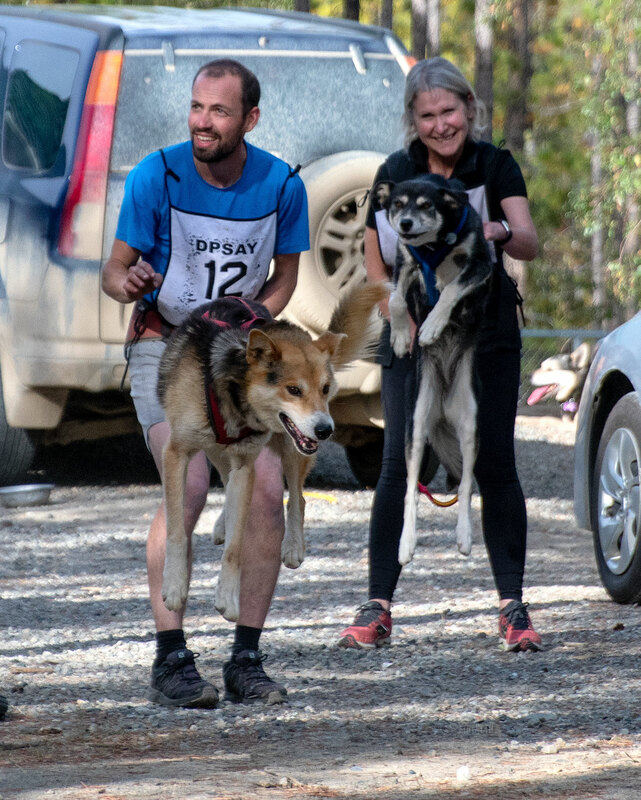 It was the first time the association held races on the network of trails at the Gunnar Nilsson Mickey Lammers Research Forest. The next DPSAY event is scheduled for Sept. 16. Details will be released.